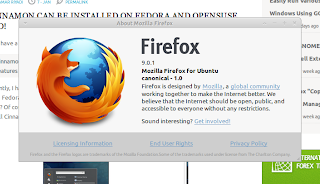 Recently, I have written about how to install Mozilla Firefox 9 on Ubuntu via Launchpad PPA. 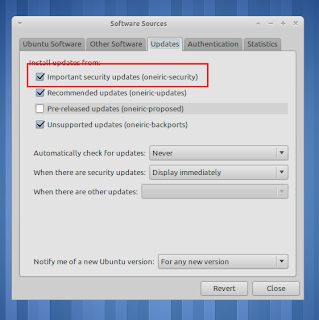 If you are aware installing such application from Launchpad PPA that means from "untrusted source", you might want to install it via Official Ubuntu repository called "Security Update". 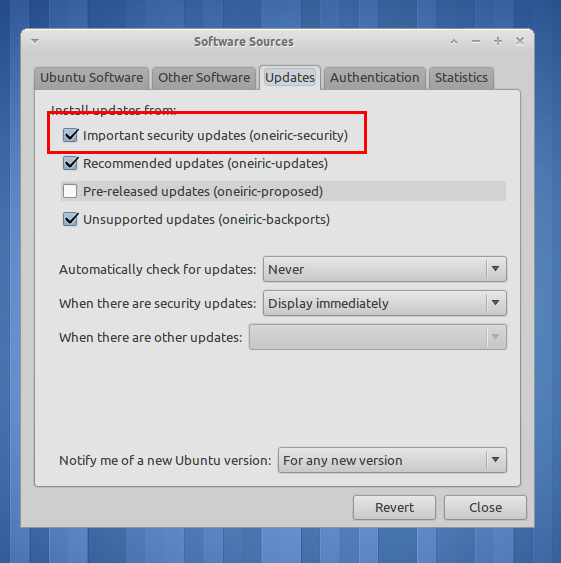 If you have not activated "Security update" repository yet, please open "Software Properties", navigate to "Updates" tab and activate "Important security updates (oneiric-security)".